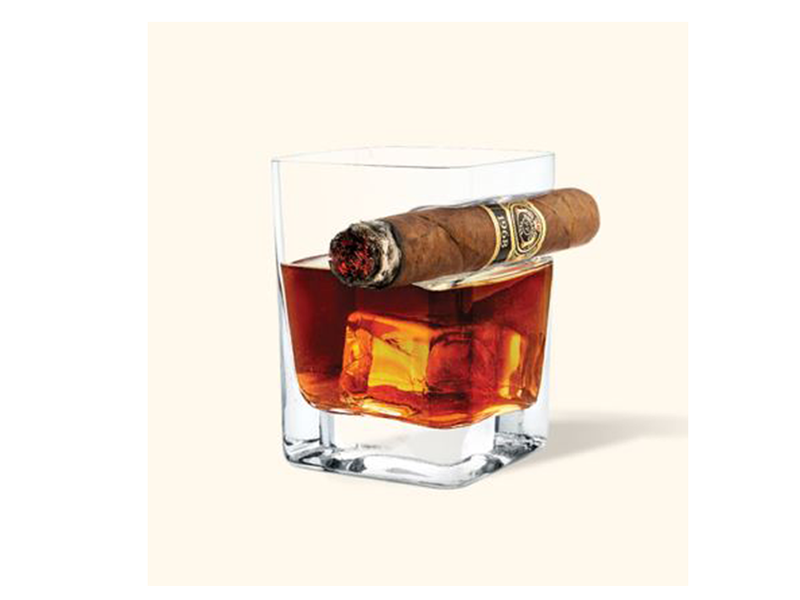 This Ergonomic Whiskey Glass With Cigar Holder is cool because it is more that just a fun novelty item. If you or someone you know enjoys the classic whiskey and cigar treat then this is sure to be very useful. 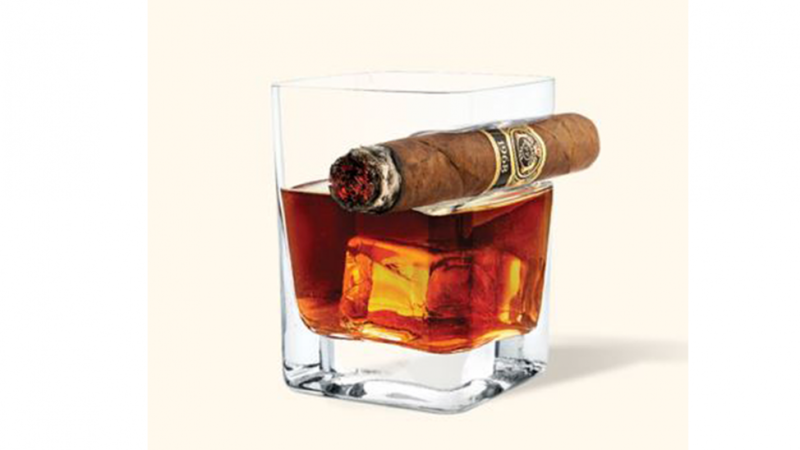 In the terrible event of having nowhere to rest your cigar then this whiskey glass will be there to save the day. One first world problem that you can eliminate from your life forever. This is a quality handmade glass that holds 9 ounces of liquid. It is great to drink out of and durable enough to be used in your home bar. Because it is such a fun glass it is sure to be a topic of conversation among any guests you may entertain. A cool and interesting gift idea for various occasions such as holidays or birthdays. You can give one of these alone or give a few together because they make a cool set for entertaining. Another thing you can do to make this an extra special gift is to include a bottle of great whiskey. If you do decide to do this be sure to choose carefully because whiskey lovers often have a preference for certain brands. If you like this ergonomic whiskey glass then you may also like to check out the following.